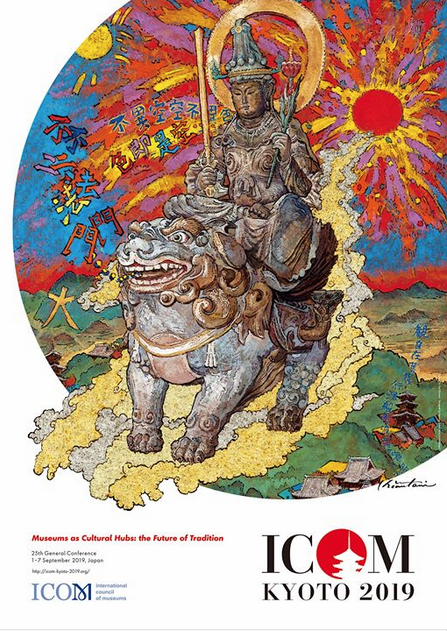 On September 1-7, 2019, the former imperial capital city of Kyoto will roll out the red carpet for 3,000 participants for the 25th ICOM General Conference. Expert-led discussions and exchanges of ideas on timely museum-related issues will sweep the iconic city that is filled with thousands of Buddhist temples, Shinto shrines, and museums, including 17 UNESCO World Heritage Sites! Panels, meetings, excursions, social events, workshops and more will give you unequaled opportunities to engage with other museum professionals and enthusiasts and to broaden your experience and understanding of the museum world. The ICOM General Conference is held once every three years for all ICOM members worldwide. ICOM-US is planning a Meet & Greet Reception for September 2. More information to follow. Early bird registration ends April 30, 2019!! Follow ICOM Kyoto 2019 on Facebook to receive the most up-to-date announcements!